When I heard this poem on Bob Chelmack’s The Road Home recently, the imagery of the falling snow filling the air so aptly captured the extraordinary experience of the warm-weather great fluffy flakes that filled the space between me and the mountain in Jasper that I had to share it. From the book, “What Do We Know: Poems and Prose Poems” by Mary Oliver (2002). A cold snap hit this week, with flesh searing temperatures reaching sub -30 degrees Celsius with the wind chill. Bundling up for commuter walks becomes an art – or an obsession. Dog walks become brief back yard visits, bare canine foot pads carefully protected by small felt dog boots. Nature manifests as the Adversary. Beware the traveller who wanders from the known path! Accompanying a dog on a nocturnal backyard visit, I am distracted from the seeping cold by the stars’ silent vigil overhead. The calmness of the winter scene settles around me. A muffled crack! fills the air, and another. The sentinel row of spruce standing by a neighbour’s house is popping in the cold, instantly transporting me to the novel I am reading, featuring vivid descriptions of a storm of mythic proportions – a storm for a mythical land. To one who lives in the snow and watches it day by day, it is a book to read. The pages turn as the wind blows; the characters shift and the images formed by their combinations change in meaning, but the language remains the same. It is a shadow language, spoken by things that have gone by and will come again. The same text has been written there for thousands of years, though I was not here, and will not be here in winters to come, to read it. These seemingly random ways, these paths, these beds, these footprints, these hard, round pellets in the snow: they all have meaning. Dark things may be written there, news of other lives, their sorties and excursions, their terrors and deaths. A book I was delighted to discover lying about the house after my partner returned from foraging in the library, hunting down a quote from our old favourite nature fix – The Road Home. This entry was posted in literature, nature fix, storybook time, winter and tagged John Haines, Snow on November 30, 2013 by misshermit. One of my most loved pieces of naturalist literature is Diane Ackerman’s book, Dawn Light: Dancing with Cranes and other ways to Start the Day. Here is an excerpt from the chapter Where it’s Winter – a revelry in colour. Monet understood the subjective lens through which snow, though rumoured to be white, often appears confetti-colored as it reflects the winter sun. Dig a hole in the snow and a blue shadow appears at the bottom, because on our planet all shadows are blue, sky-tinted, the scheme of winter dawn. Porch lights shine along the street — white, yellow, gold — like distant stars each tinted differently by the gas at its core. As a result shadows streak behind the trees. The magnolia branches are all elbows. Winter is a blue season, gray-blue at dawn, blue-white in landscapes, and for many people blue in mood. For them it’s not enough that the sun rises each day, if it just trickles copper across the lake instead of trumpeting reds and oranges. The short days don’t fill their reservoirs of light, and anyway most of the animals are scarce and the plants dead. 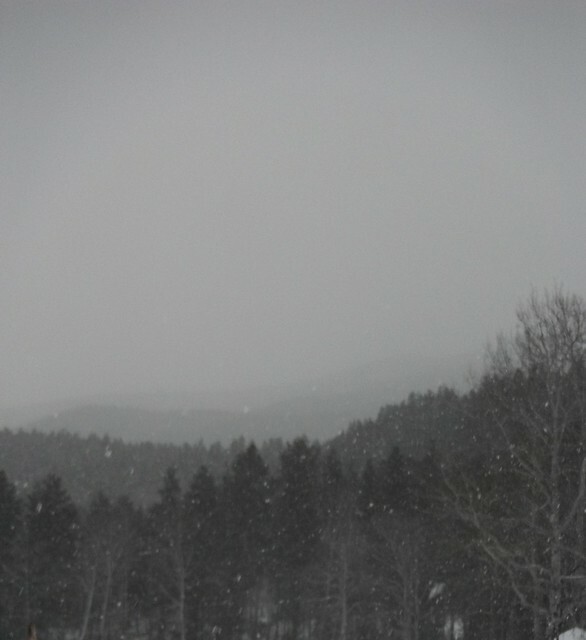 Personally, I love winter, and regard snow as a great big toy that falls from the sky, just as I did as a child. I love how snow becomes a prism in the sun, crinkling with colors, and how ice coating a winter fence creates visual firecrackers. I love that snow is a mineral, falling as billions of temporary stars. 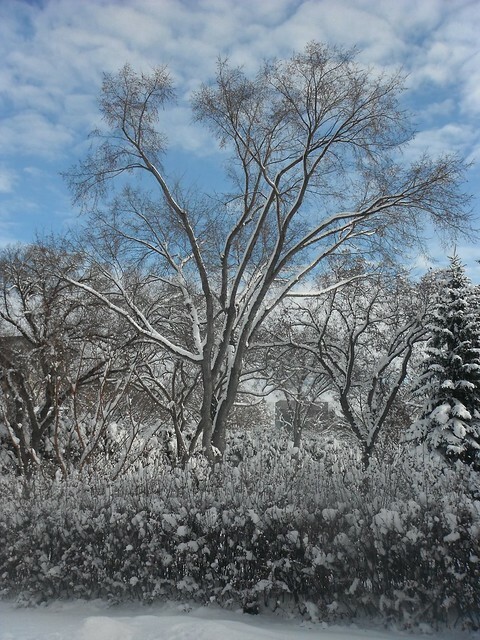 This entry was posted in Favourite Naturalists, literature, nature fix, winter and tagged Diane Ackerman, Snow on November 23, 2013 by misshermit.